God used a Southern black preacher, reared under Jim Crow and with little formal education, to ignite a revival that has reshaped the face of Christianity around the world. 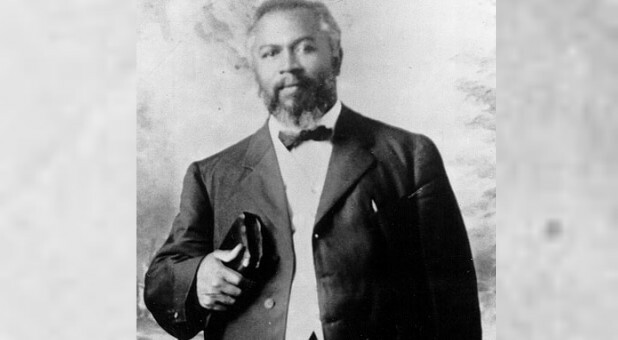 The Azusa Street Revival (1906-09) ignited a world-wide movement that Harvard professor, Dr. Harvey Cox, says is still “reshaping religion in the 21st century.” 6:00AM EST 2/7/2019 Eddie HyattWilliam Joseph Seymour (1870-1922), the leader of the revival, was born to former slaves Simon and Phillis Seymour in Centerville, Louisiana, where they attended the local black Baptist church. William committed his life to Christ at an early age and experience the call of God, even as a youth. In 1895, at the age of 25, Seymour moved to Indianapolis, Indiana, where he worked for a time as a waiter in a fashionable restaurant. In 1900, he moved to Cincinnati, Ohio, where he encountered “holiness” teachings through the Church of God (Anderson, Indiana). Seymour embraced this teaching of a second blessing, called sanctification, that would purify the heart and enable one to live a victorious life over sin. In 1903, Seymour moved to Houston, Texas, where he began attending a black “holiness” church pastored by Lucy Farrow, the niece of Frederick Douglass. When Farrow accepted an invitation to go to Kansas with Charles and Sarah Parham, she turned the congregation over to Seymour, and he became the pastor. In 1906, Farrow returned to Houston with the Parhams and reconnected with Seymour. She told him of an experience she had while in Kansas called the “baptism in the Holy Spirit,” which had been accompanied by speaking in tongues as on the Day of Pentecost in Acts 2:4. Seymour was deeply impacted by her testimony. Seymour was thus able to hear Parham’s teaching of a baptism in the Holy Spirit with the “Bible evidence” of speaking in tongues, and it resonated deeply with him. Before I met Parham, such a hunger to have more of God was in my heart that I prayed for five hours a day for two and a half years. I got to Los Angeles, and there, the hunger was not less but more. I prayed, “God, what can I do?” The Spirit said, “Pray more.” “But Lord, I am praying five hours a day now.” I increased my hours of prayer to seven and prayed on for a year and a half more. I prayed to God to give what Parham preached, the real Holy Ghost and fire with tongues with love and power of God like the apostles had (Hyatt, 2000 Years of Charismatic Christianity, 144). Although the prayer meeting was soon organized into a church that they called the Apostolic Faith Mission, prayer continued to be the foremost activity. One participant said, “The whole place was steeped in prayer” (Hyatt, 2000 Years of Charismatic Christianity, 145). God had put such a hunger into that man’s heart that when the fire of God came it glorified him. I do not believe any other man in modern times had a more wonderful deluge of God in his life than God gave to that dear fellow, and the glory and power of a real Pentecost swept the world. That black man preached to my congregation of ten thousand people when the glory and power of God was upon his spirit, and men shook and trembled and cried to God. God was in him (Hyatt, 2000Years of Charismatic Christianity, 145). We do not have time to preach anything else but Christ. The Holy Spirit has not time to magnify anything but the blood of our Lord Jesus Christ. We are simply a voice shouting, “Behold the Lamb of God!” When we commence shouting something else, then Christ will die in us. If Christ be lifted up, He will draw all men unto Himself. The Azusa Street Revival exhibited an amazing racial harmony at a time when America was racially divided by both law and custom. Frank Bartleman, who wrote an eyewitness account of the revival, said, “The color line was washed away in the blood” (Hyatt, 2000 Years of Charismatic Christianity, 147). Before Pentecost, the woman could only go into the “court of the women” and not into the inner court. But when our Lord poured out Pentecost, He brought all those faithful women with the other disciples into the upper room and God baptized them all in the same room and made no difference. All the women received the anointed oil of the Holy Ghost and were able to preach the same as men. They both were co-workers in Eden and both fell into sin; so they both have to come together and work in the Gospel. Seymour and the Azusa Street Revival had, nonetheless, carved for themselves a prominent place in Christian and world history. This was highlighted in 1999 when the prestigious Religion Newswriters Association included the revival in its list of the “Top 10” religious stories of the past millennia. This list included such momentous events as the medieval Crusades, the 16th- century Protestant Reformation and the publication of the Gutenberg Bible in 1455. Their reason for including the Azusa Street Revival on this illustrious list was that it gave birth to the Pentecostal-Charismatic movement, “Now Christianity’s fastest growing branch” (The Dallas Morning News, Saturday, Dec. 4, 1999, 4G).